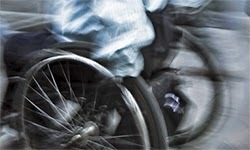 Stewarts Law takes pride in working closely with clients to achieve excellent outcomes in spinal injury claims. From our Independent Living Advisors, who themselves are spinal cord injured, to handling substantial and complex cases, we ensure that we provide comprehensive support on all legal issues that arise following serious injury. In the first of a series of blog posts by Stewarts Law, we explore and explain our approach to spinal injury claims. The first post outlines the fact finding work Stewarts Law does to establish whether someone affected by spinal cord injuries has a claim for compensation. All too often accident victims assume they do not have a case and do not think anyone else may be accountable for their injury. They may even think it was their own fault. Even if you are partly responsible or there were a number of people at fault, it does not mean you cannot recover compensation. We have won numerous cases when proving fault has at first appeared difficult. We recently settled the claim of one of our most seriously injured clients for a lump sum of £1.6 million and annual payments of £370,000 to cover the cost of care and case management, despite contested liability issues. The annual payment, which will be made for life, is one of the highest ever recorded. Mr Q was a passenger in a family member’s car which suffered a tyre blow-out and rolled several times. The accident occurred in Spain whilst the family was driving back to England from Morocco. Mr Q was left with C1 tetraplegia. He is unable to move any of his limbs and cannot breathe unassisted, but he retains full mental capabilities. The seriousness of his injuries means Mr Q requires 24 hour nursing care. Julian Chamberlayne of Stewarts Law advised Mr Q that his claim could be brought against the driver of the vehicle in the English courts, as both the defendant and Mr Q were residents in England, making this a straightforward jurisdictional matter. If the driver was found to have caused the accident, his British insurer would be liable to pay Mr Q compensation. Mr Q’s claim raised two main complex issues. The first issue was that the insurer denied the driver was at fault, attributing the accident to an unforeseeable tyre blow out. Julian and his team carefully investigated the accident, providing detailed evidence upon which findings could be made. The team obtained statements from witnesses and instructed an experienced accident reconstruction expert and tyre specialist to provide detailed reports. These reports advised that the old tyres should have been replaced long before the accident; there were likely warning signs from the tyres that should have prompted the driver to slow down or stop; and the driver should have been able to retain control of the vehicle despite the tyre blow out. The second thorny issue was establishing the high level needs of Mr Q. Twelve medical and non-medical experts were also instructed to help identify the many ways in which the lives of Mr Q and his family had, and would, continue to be affected throughout his lifetime. Julian also arranged for Mr Q's rehabilitation to be co-ordinated by a highly experienced SCI specialist Case Manager to help deal with the multitude of issues that arose when Mr Q was discharged from hospital. Stewarts Law ensured that Mr Q’s needs were fully addressed from his care to his financial settlement, bringing the Mr Q and his close-knit family peace of mind. It enables them to rent accommodation with a large enough ground floor for Mr Q, his family and his carers, including access from room to room during periods when Mr Q is bed-bound. The annual payment of £370,000 will be used to fund a high quality private nursing team experienced in caring for ventilated tetraplegic clients. The settlement also contained two novel provisions which require the British insurer to reimburse Mr Q if he can achieve his dream of making a pilgrimage to Mecca and for future private hospital admissions lasting more than five days. More information about Julian Chamberlayne, Partner in our Travel Department at Stewarts Law who specialises in overseas personal injury litigation and led Mr Q’s case can be found here.